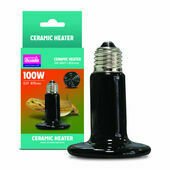 Economic and efficient, ceramic heating lamps and bulbs are designed to release heat slowly and in a way that is more natural than other vivarium heat lamps. 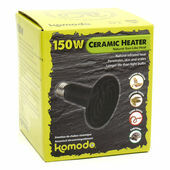 Due to the way in which ceramic vivarium heat lamps diffuse heat they also provide thermostats with far more reliable readings, giving you the ability to control the environment within your pet's habitat more effectively and reduce the likelihood of reptiles overheating. 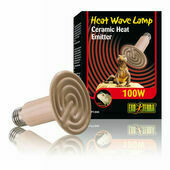 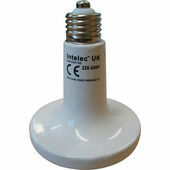 Our ceramic heat lamps are available from a range of different brands, but typically ceramic bulbs last longer than alternative heat sources and cost less to run as their heat continues to emanate for some time after they are turned off. 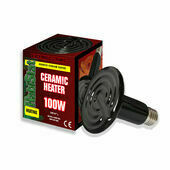 It should also be noted that ceramic vivarium lamps do not create any light, so they can be used at night without disrupting a reptile's body-clock.